Should we do a second bracket? This might be the worst idea ever, but it might be a great idea. A few years ago I was bored out of my mind, so I had a brilliant idea to pass the time. I drew a bracket NCAA style, but instead of filling it in with basketball teams, I used Fictional Characters. I filled in the bracket in the way I thought the results would be. I would like to do something similar, but instead of me choosing characters and deciding the outcome, I was thinking that forum users could be involved as well. Step 2 (Optional): I post the matchups and you post who you think will get the most votes so I can put your picks in my bracket point tracker. Step 3: I set polls on this topic so you guys can vote on the winners and losers. Step 4: After the Championship game, I post a copy of the bracket and the Winner. As I said, this might be a total flop or a huge success. Forum Users will decide that. Last edited by ZappierVirus on Tue Aug 08, 2017 6:15 pm, edited 35 times in total. I say it's a great idea! So fictional character popularity contest, or a who-would-win contest? Regardless, I would into it. Also, who determines the 64 characters to compete? Most likely a who-would-win one-on-one. I was thinking that we could decide on characters together. Someone can suggest a character and a rank for it and other people could decide if they want it in the bracket or not. Also, over-powered characters like Superman would not be allowed. Sub abilities (require powerups): Throwing ice balls, flying, gliding, climbing walls and swipe attacking, temporarily invincible (idk if this would be to powerful), turn mini, turn mega, and more. Rank A would be Rank 1. There are ranks 1-16, with 4 openings for each rank. 16 times 4 equals 64. Ta Da! 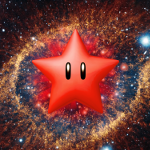 Star Mario would be OverPowered. I will post some suggestions later. Funny Fact. Last time I did a bracket on my own I underestimated Mario. I made him a 5, and he ended up winning. I think for the 15 and 16 rank slots, I am going to use Minecraft Mobs unless others contestants are suggested. Mario is going to be a 1, and Luigi a 2. My Suggestions: Batman Ranked 2, Flash Ranked 1, MC Enderman 8 or 9, Bowser as a 2, Bowser JR as a 3 or 4, Perry (From Phineas and Ferb) as a 6 or 7, B1 Battle Droid (Star Wars) as a 14, and Super Battle Droid (Star Wars) as a 10 or 11. Also, the bracket template I got for Excel has a feature that lets players to predict results, so after we choose all the contestants, I will post the matchups, and you can post back your predicted bracket results. I'll help with the Mario Characters and Minecraft mobs with their ranks. I wouldn't really recommend underestimating Mario...that isn't really a smart idea. I think Luigi's rank is good. Bowser should probably be 1 as well since he is REALLY powerful. Bowser Jr's rank is good, I say make him a 3. Enderman should probably be like 6 due to the teleporting abilities. What makes Peach, Daisy, and Rosilina so powerful? Also, what should the ranks be for Minecraft Mobs? Sorry I was thinking of 10 being the lowest rank so I put Daisy as 6 thinking she was low. Let's put her at like 10, her attacks can be flower related. Plus maybe have the ability to slow people because of so many flowers in the way. As for Peach she has appeared in more video games than any other female character in the history of video games. So I think she deserves being up high up there but not the highest. She is good at attacking with her umbrella and she floats. Plus she can use powerups like Mario and Luigi can (because of her Super Mario 3D World playable appearance). If you just watch the whole gameplay of Super Mario Galaxy you can just see how powerful Rosalina is. She can use all sorts of different star type powers and she can use just about any attack that involves a luma. Plus she hovers and can do a spin to attack enemies. If she has enough power star fuel she can even turn her spaceship into a comet and fly super fast through the universe. How about we add Toad at about the 11 on the rank? He can use powerups, but is cowardly. Toad doesn't really have any special attacks or abilities of his own besides being a bit faster than other characters. I guess he could do mushroom related attacks. Bowser should be a 1 - he did try to remake the universe, after all. I'll probably think of more later. This is kind of fun! I'm mostly just familiar to the Mario series and can accurately rank them. I guess I could do a few others but not as well. I know. I was backing up your thought that he should be a 1. Bowser is one of the most iconic villains in the Nintendo universe - even moreso than Mother Brain or Ganondorf. Despite his blunderings and oafish nature, he earned his top-rank position, in my opinion. Most likely a who-would-win one-on-one..
Ganondorf from Legend of Zelda for example can only be beaten by the Master Sword... which can only be used by the Hero of Hyrule. Then there's Giygas from Earthbound who can only be defeated if the people of the world pray. Then outside of games there is a fair number of extremely powerful hero characters.